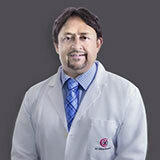 Dr. Nishanth is an alumnus of the prestigious All India Institute of Medical Sciences (AIIMS), New Delhi, India. After his graduation (1996) and post graduation at AIIMS, he did residency in Internal Medicine from New York Medical College at Westchester Medical Centre, New York, USA. Subsequently he trained in Endocrinology & Diabetes at State University of New York at Buffalo, NY and was awarded the Fellowship in Endocrinology, Diabetes and Metabolism. During his training, Dr. Nishanth was actively involved in research and was awarded a research grant by the prestigious Endocrine Fellows Foundation, USA for research on free fatty acid metabolism and diabetes. 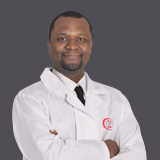 He is American Board certified in Internal Medicine (2003) and in Endocrinology, Diabetes and Metabolism (2005). He was elected as a Fellow of the American College of Endocrinology (FACE) in 2009. 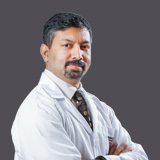 Dr. Nishanth has over 20 years of international experience and has been working at Al Zahra Hospital, Sharjah since 2009. 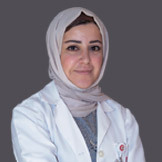 He is Consultant Endocrinologist and Head of the department of Endocrinology and Diabetes at Al Zahra. 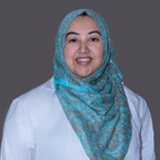 He has several conference presentations and publications in peer reviewed journals, including original observations on vitamin D deficiency and iodine deficiency in UAE. He has been a speaker at various CME events. Prior to coming to UAE, he worked as consultant Endocrinologist at a very busy tertiary level super specialty hospital in India.